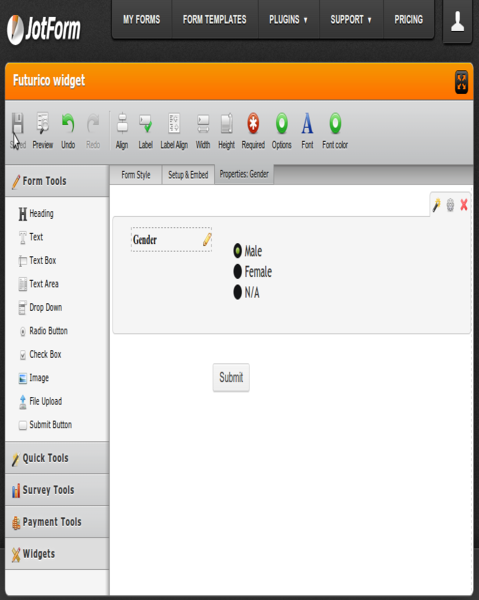 Show fancy radio buttons with this widget right in your JotForm! No more custom CSS codes. 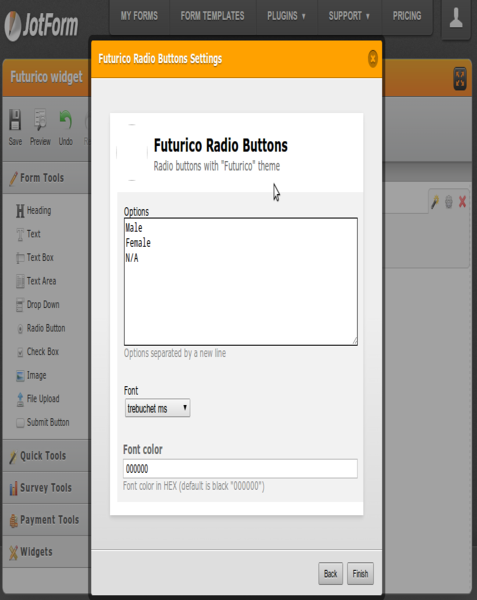 You can select the font type for radio buttons right from the widget. You can also establish the font color by selecting the hexadecimal code. 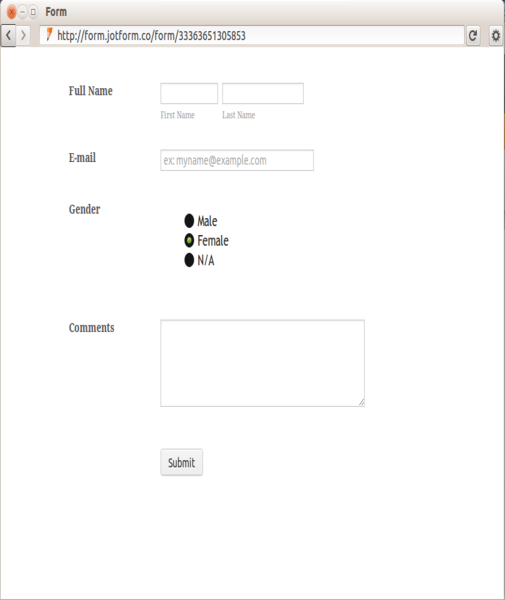 With &quot;Futurico&quot; Radio buttons theme, you&amp;#39;ll impress your form users!